A very familiar face has made a return to the local TV News scene. This from XETV News Director Don Shafer "We have an arrival to tell you about... Phil Farrar is a witty and clever veteran of the San Diego market and a veteran of this station. Phil worked here from 2010 to 2013 doing sports, also worked at KOGO radio, in fact, he still does... as an anchor and reporter. He also worked at Channel 10 in the 90's and at the NBC O&O in Chicago, WMAQ where he anchored weekends." "For us, Phil will be a freelance reporter and fill-in anchor"
In an exclusive interview with SanDiegoRadio, Phil tells me "I'm grateful to Don Shafer and General Manager Chuck Dunning for this opportunity" "We have a great crew who is hungry and really assisted me during this transition"
While on TV with KGTV and an earlier stint with San Diego 6, Farrar was a sports anchor. 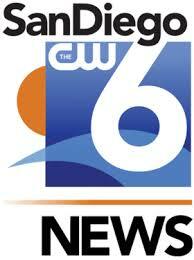 "I'm certain I will do sports related stories, but I am here to co-anchor the weekend morning news. I am extremely thrilled to be a part of this team." Farrar also covered 5 Superbowls, a World Series, the NBA Championships, the World Cup. He received national recognition while covering the David Westerfield murder trial. Westerfield was convicted of murdering Danielle Van Dam. Farrar appeared on ABC Radio, MSNBC, and CNN as a contributor. For his efforts he was named one of the top 5 affiliate reporters in the country by ABC Radio News. He covered the deadly 2003 and 2007 San Diego wildfires, interviewing President George W. Bush along the way. 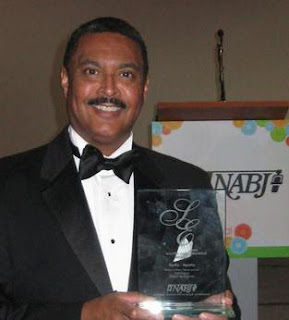 Phil received national recognition winning two "Salute to Excellence" awards from the National Association of Black Journalists, receiving two awards in the sports category. 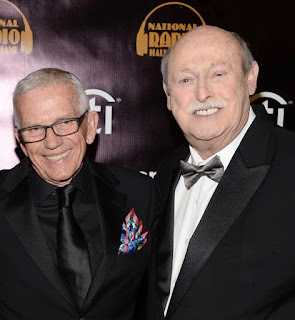 Phil has earned more than 60 awards including two prestigious Radio and TV News association of Southern California Golden Mikes for his reporting. Farrar also received accolades and a first place award for a complete broadcast aboard the USS Ronald Reagan in 2004 as it made its home porting in San Diego. Phil flew to Lima, Peru and met the ship and was on board, embedded with the crew for two weeks and fed stories several times a day not only to KOGO, but to radio stations across the entire United States. Wow, two bigtimers coming here.